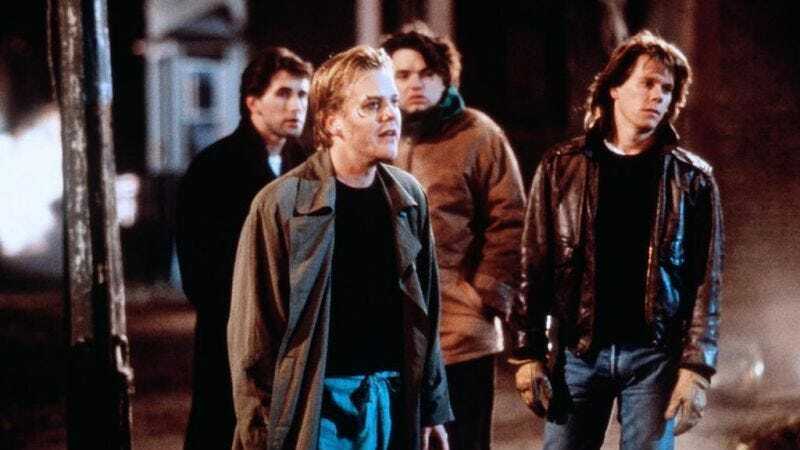 As reported by Variety, Ellen Page is in talks to star in a reboot of Flatliners, the 1990 sci-fi thriller that starred Kiefer Sutherland and Julia Roberts. In the original, Sutherland played a medical school student who wanted to learn more about the afterlife, so he dragged his friends in to help with an experiment that involved bringing people close to death, reviving them, and then asking them about the haunting and prophetic visions they experienced while “dead.” As is often the case when people toy with things that should be beyond the understanding of moral man, bad stuff started happening to Sutherland and his friends, and they had to face various metaphorical ghosts from their past. The reboot will be directed by Niels Arden Oplev, who made the non-Daniel Craig Girl With The Dragon Tattoo movie, from a script by Source Code writer Ben Ripley. Though the original was nominated for an Academy Award (Best Sound Editing, of all things), it’s not exactly held up as a classic of the sci-fi thriller genre, so this reboot will hopefully take the basic premise and do new things with it.